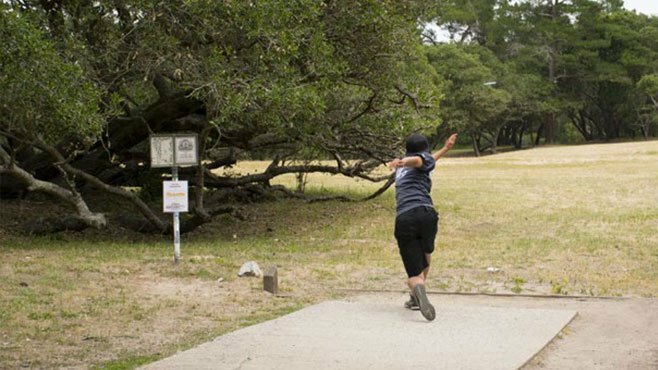 Disc Golf courses come in many shapes and sizes but the main factor in their sustainability is the investment made in the construction of the course. 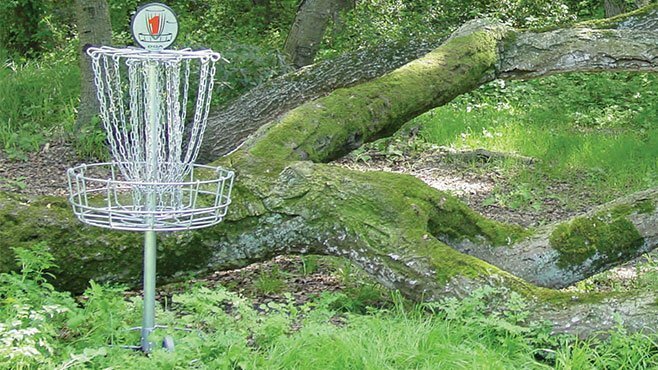 Simple courses, with natural tees and fixed basket positions, have proven to be unsustainable over even a few years. Areas such as tees are quickly worn out and the park area can become unsightly. The implementation of a robust sustainability plan will keep maintenance costs to a minimum and improve and enhance the park use. Using durable tee systems, flush with the surrounding grass areas, provides high quality, long lasting and sustainable conditions. More players will continue to play and return if the facilities are kept at their best. This principle can also be applied to the pole-hole baskets – they can also be moved if necessary using a collar system that does not impact on mowing and general maintenance. All signs need to be installed in a way that they can not be removed or damaged easily, but also so they can be mown around and maintained easily. 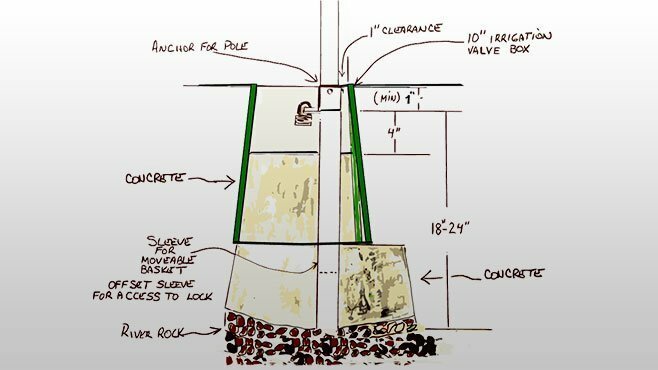 Lockable installations allow multiple basket placements per hole and alleviate erosion. Concrete tee pads are the best option for long-term sustainability. A portable base allows easy relocation for maintenance to be carried out.